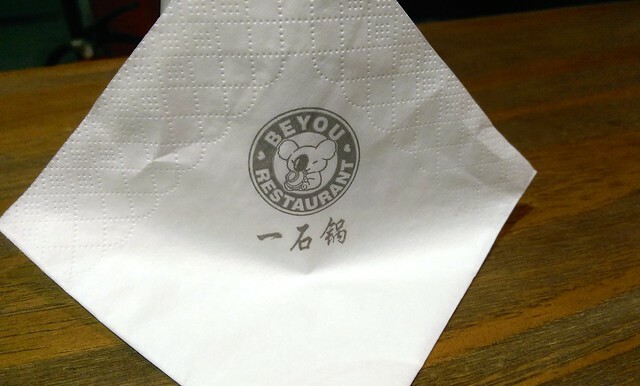 For dinner, we went to Beyou Restaurant on the second floor of SOHO A in Xi’an Hi-Tech Development Zone. Their workers handed out flyers yesterday as well, but we didn’t realize it was on the second floor. Most of the restaurants open amidst construction were located on the first floor. Beyou had Christmas lights turned on, in the dark stairway to attract customers. 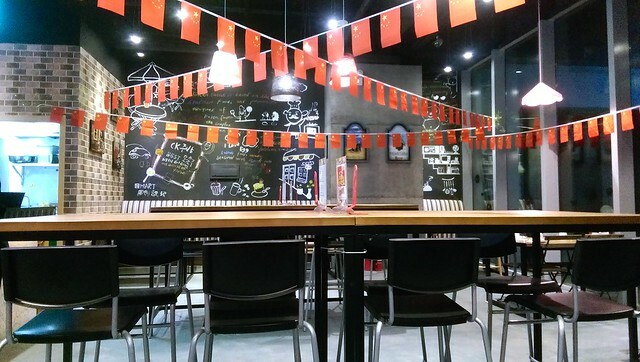 The interior of Beyou was modern, with Chinese flags all over the place. Can you tell what kind of restaurant it is, from its English name or koala mascot alone? We couldn’t and we were confuzzled. The restaurant’s Chinese name ‘一石碗’ translates to “one stone bowl”. Now, that’s a big hint. Can you figure it out? Beyou is a Korean restaurant! The Chinese name refers to the stone pot that’s frequently used in Korean cuisine. 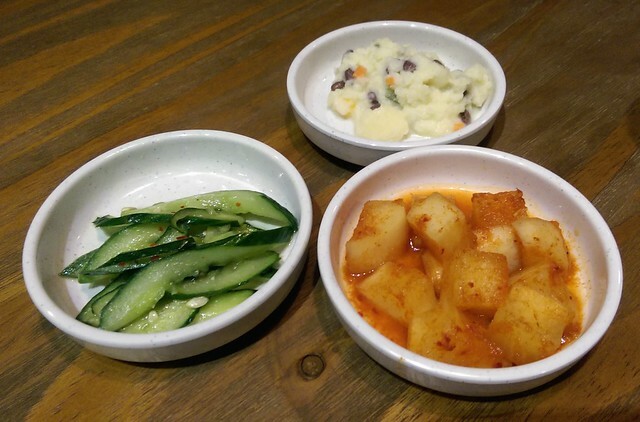 We started off with three small side dishes, or banchan (반찬): cucumber, radish kimchi, and potato salad. 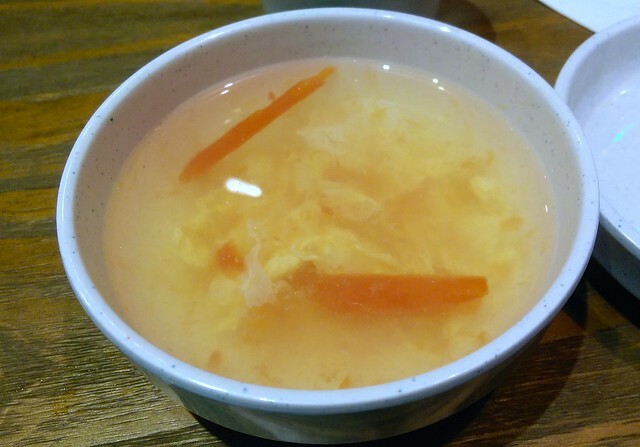 We were then served complimentary soup, a clear broth with tomato and egg. 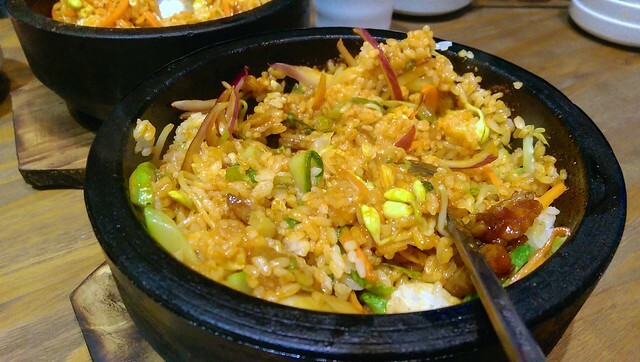 We ordered two dolsot bibimbap (돌솥 비빔밥), one traditional Korean style, and one Korean-Chinese fusion. The latter bibimbap had squash and marinated meat. 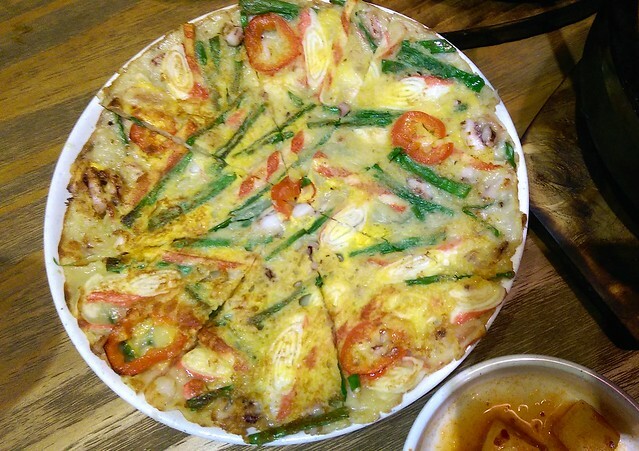 The waitress mixed the bibimbap with gochujang (고추장) in front of us, then placed it at the center of our table. I then patted the rice down against the stone pot to make the rice crispier. Our dinner bill came down to ¥348 RMB (~$57 USD) for the four of us.